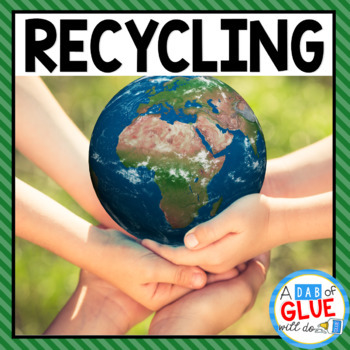 Engage your class in an exciting hands-on experience learning all about earth day and how to help protect our earth! This resource is perfect for science in Preschool, Pre-K, Kindergarten, First Grade, and Second Grade classrooms and packed full of inviting science activities. 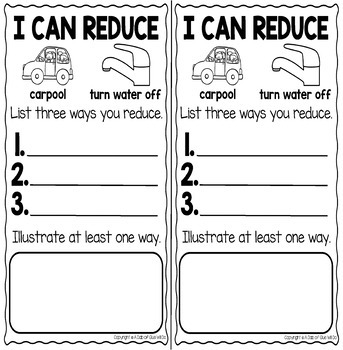 Students will learn different ways the can help protect earth. 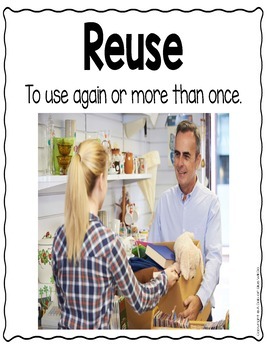 They will discuss the Three R's: reduce, reuse, and recycle. 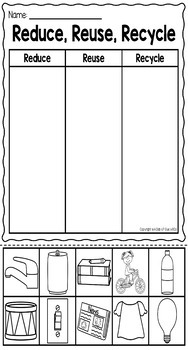 This pack is great for homeschoolers, kids craft activities, and to add to your unit studies! Buy our ENDLESS KINDERGARTEN SCIENCE BUNDLE . There are over 70 science topics covered. BUY NOW and SAVE. Thank you for taking the time to look at this product! To see all of the products in my store click HERE. Look for the green star next to my store logo and click it to become a follower. You will now receive email updates about my store. If you have any questions, please feel free to email me or use the Ask a Question feature in TpT. I want to provide quality products to help teachers and students alike, so contact me before leaving feedback if you have a need. Products by A Dab of Glue Will Do may be used by the purchaser for their classroom use only. All rights reserved. No part of this publication may be reproduced, distributed, or transmitted without written permission of the author. This includes posting this product on the internet in any form, including classroom/personal websites or network drives. If you wish to share this product with your team or colleagues, you may purchase additional licensing at a discounted rate. Please let me know if you have any questions before you make your purchase! I am happy to help!